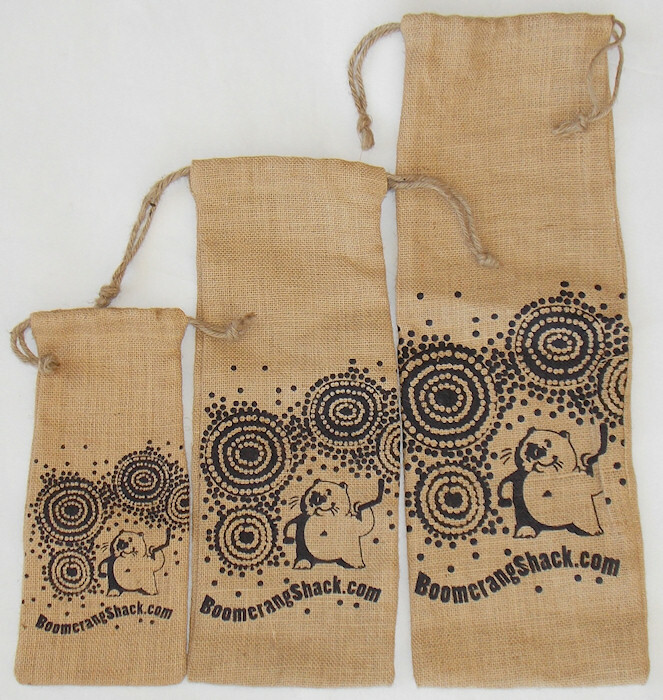 Draw string jute gift bags come in three sizes to cover a complete range of Aboriginal artifacts. 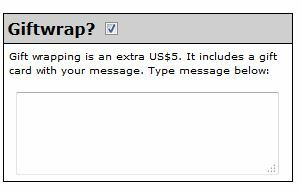 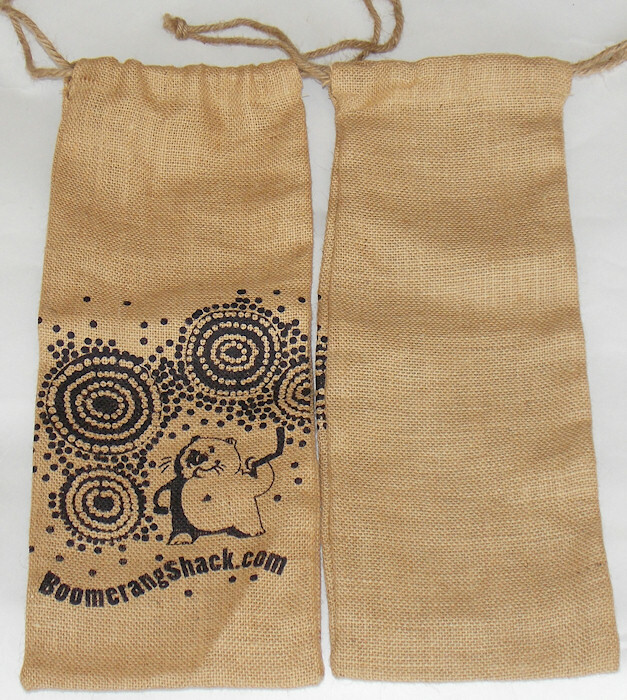 They are 100% made of Indian jute including a string. 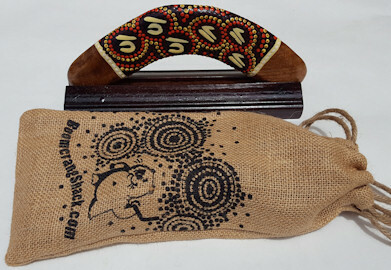 Some of the items, such as collectable boomerangs, come with this gift bag.